Product Ready for Immediate Delivery! 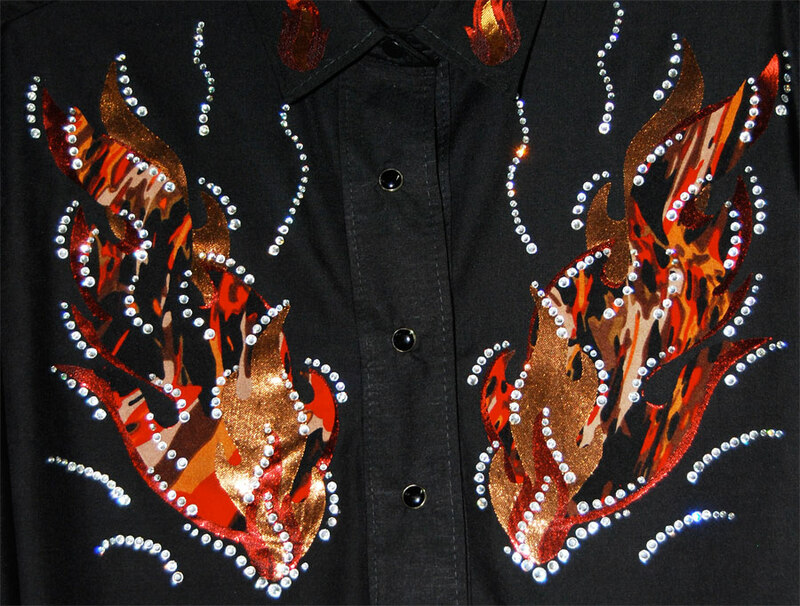 Thousands of sparkling heat set rhinestones adorn each shirt to bring the flames to life! 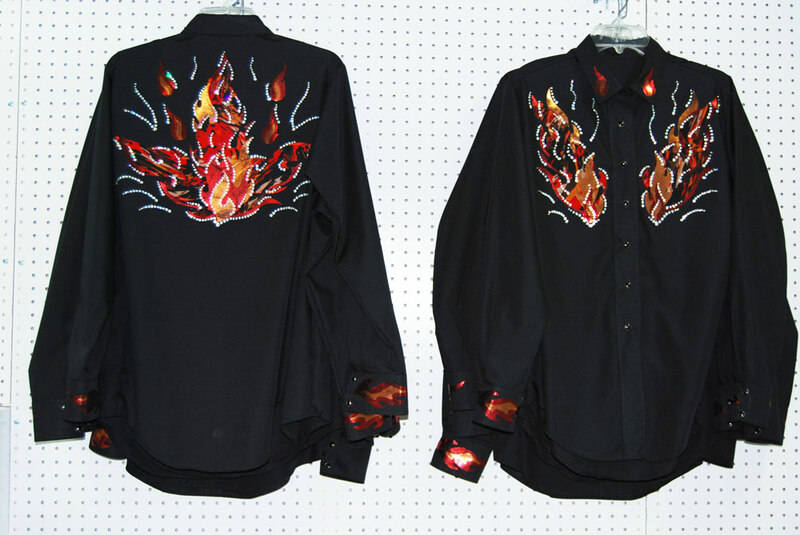 The base of the shirts are made of black broadcloth. 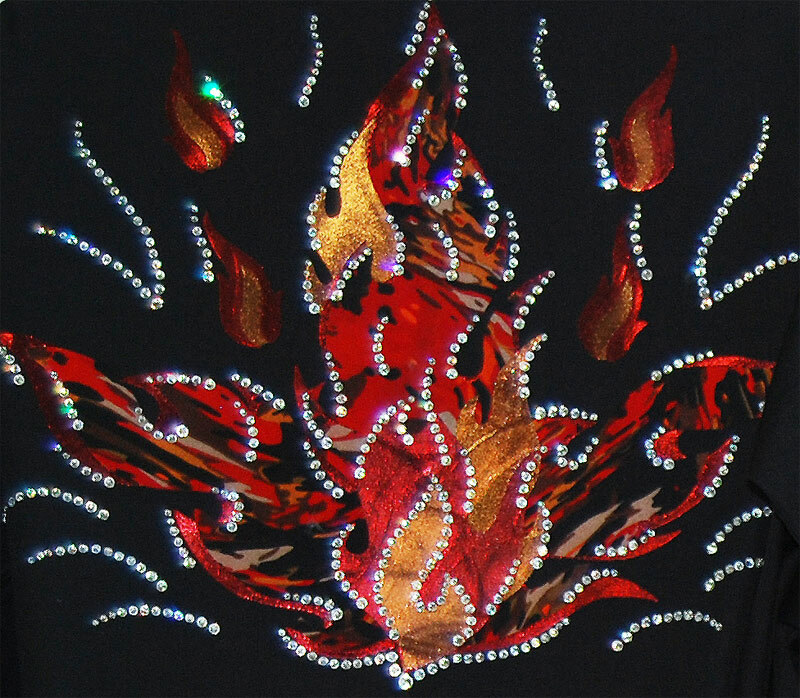 Each flame is uniquely designed with a printed material and shinny copper and red lame. Add fringe down sleeves for an additional charge. 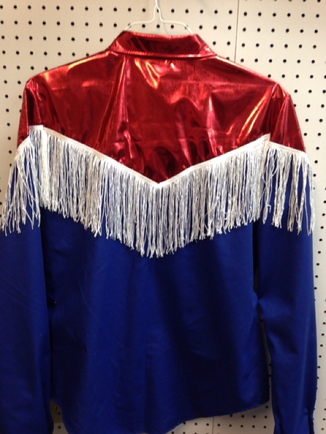 Fringe may be added down the sleeves for an additional charge. 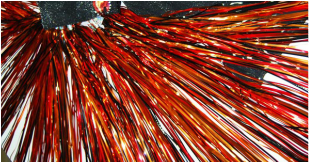 These double-fringed chinks are made of strawberry, white and black commercial grade, sparkle vinyl. All the straps are backed with leather for durability and are adjustable with roller buckles for quick, easy-on and off. Wipes clean with a damp cloth. 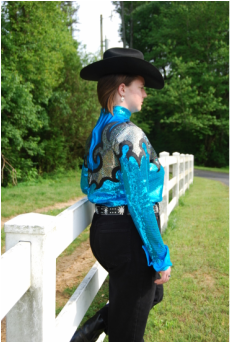 This Shimmer & Shine shirt has a royal blue broadcloth base with premium sequined material front. 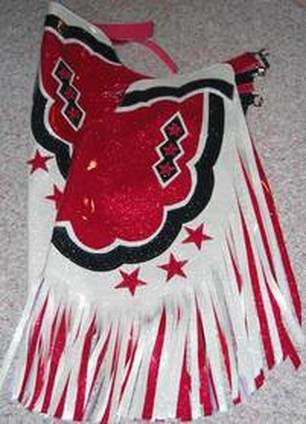 White mylar fringe on front overlay. The shirt is specially designed to flatter your cures! 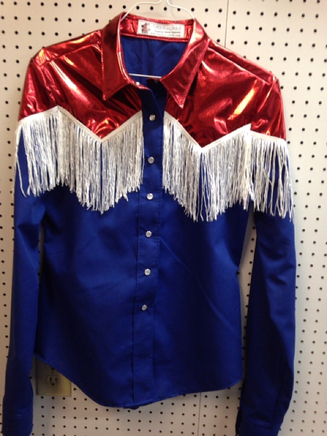 This Tribute shirt is made of royal blue broadcloth and red liquid lame overlays. 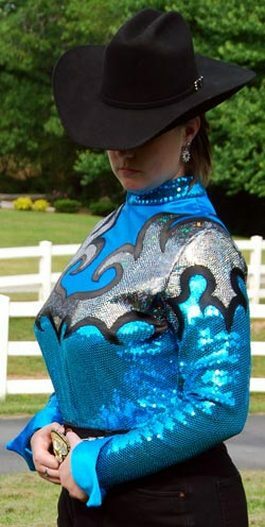 It features 6" white chainette fringe on the front, back and sleevcaps. White pearl snaps. Designed with extra-long sleeves for riding. Hand wash in cold water. 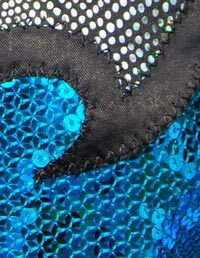 This stunning Wings of Glory shirt is made of turquoise and black spandex, premium turquoise sequined material, and the overlay is made with holographic silver shattered glass material. 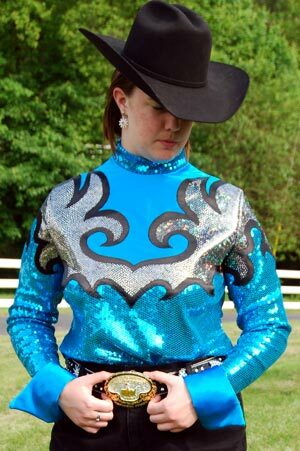 The shirt features a mock turtle neck, western pleasure cuffs, and a back zipper. Hand wash in cold water. 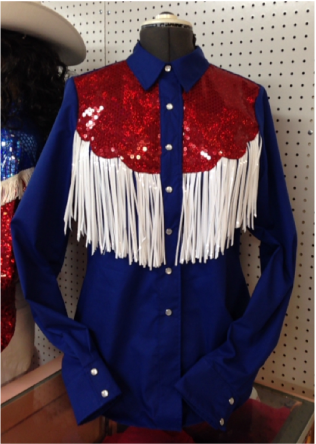 ﻿Let us make your next western show outfit. "We Make ﻿Drea﻿ms Just Sew"